Is there wicked handwriting on the wall? 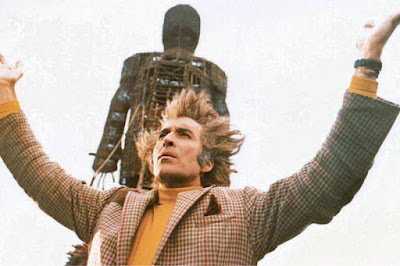 In January 2009, I pondered the original 1973 film, The Wicker Man. The time is ripe to revisit this synchrocinematic classic, for 2016 has much to say to The Wicker Man-aware. 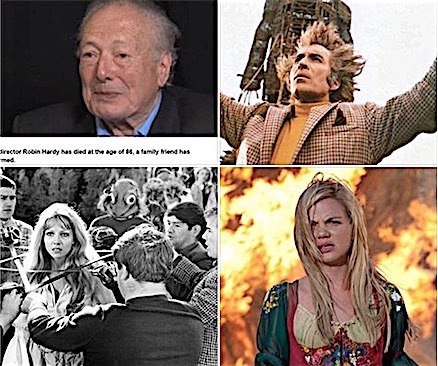 Eddie Lin posted the following four-photograph-montage shortly after The Wicker Man director Robin Hardy died on Friday, July 1, 2016. Hardy only directed three films, The Wicker Man (1973), The Fantasist (1986), and the sequel to The Wicker Man, The Wicker Tree (2011). Robin St. Clair Rimington Hardy (2 October 1929 – 1 July 2016) died at the age of 86. 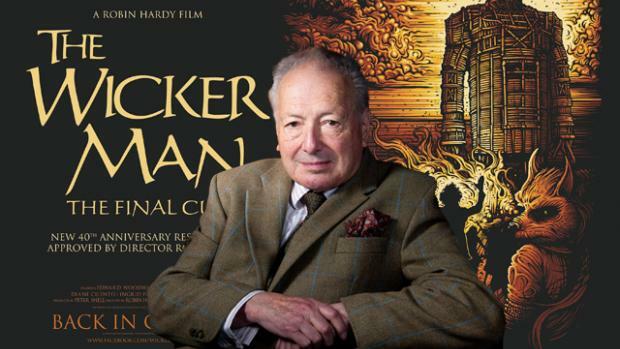 Lin tells me he posted the four images because of Hardy's link to The Wicker Man film. But they were not added to his montage for any specific reason. However, I was interested in their relationship to death. 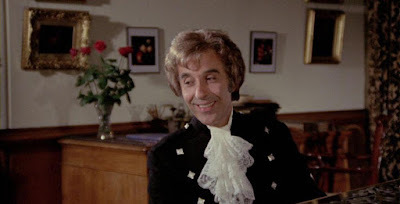 For example, Christopher Lee died in 2015. Sir Christopher Frank Carandini Lee CBE (27 May 1922 – 7 June 2015) died at the age of 93. Edward Woodward, Christopher Lee, and Robin Hardy during the The Wicker Man (1973) filming. 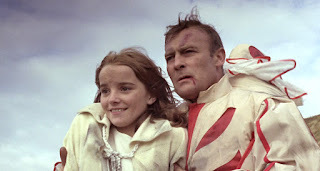 Edward Albert Arthur Woodward, OBE (1 June 1930 – 16 November 2009) died at the age of 79. 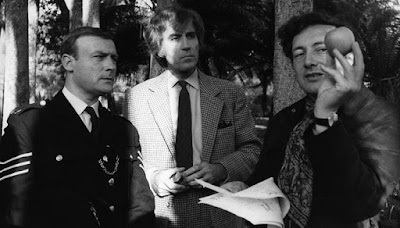 Cinefantastique devoted a commemorative issue to the film, asserting that the film is "the Citizen Kane of horror movies" – an oft-quoted phrase. Christopher Lee considered The Wicker Man his best film. 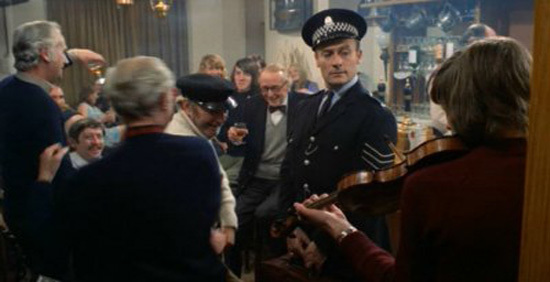 Edward Woodward meanwhile once said that The Wicker Man was one of his favorite films and that the character of Howie was the best part he ever played. 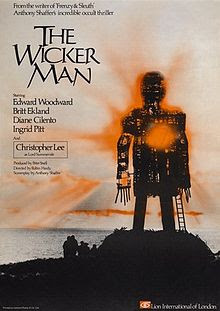 In addition to Lee's admiration of the final shot of the film (of the collapsing Wicker man), Woodward said that it was the best final shot of any film ever made. Ingrid Pitt (21 November 1937 – 23 November 2010), who collapsed on the way to her fans' celebration of her birthday, and died a few days later, passed away at the age of 73. After The Wicker Man, in which she had an important but small part, she became Hammer's Queen of Horror or more generally The Queen of Gothic Horror. 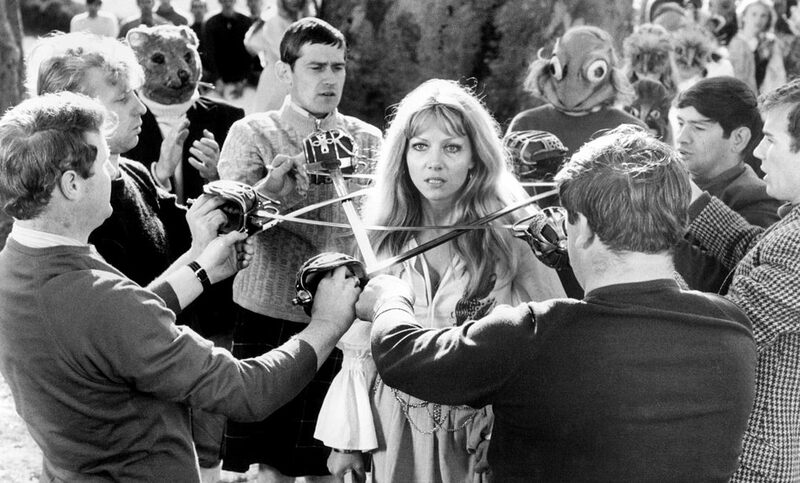 The Wicker Man's 1973 Rowan Morrison was played by Geraldine "Gerry" Cowper (born 23 June 1958). 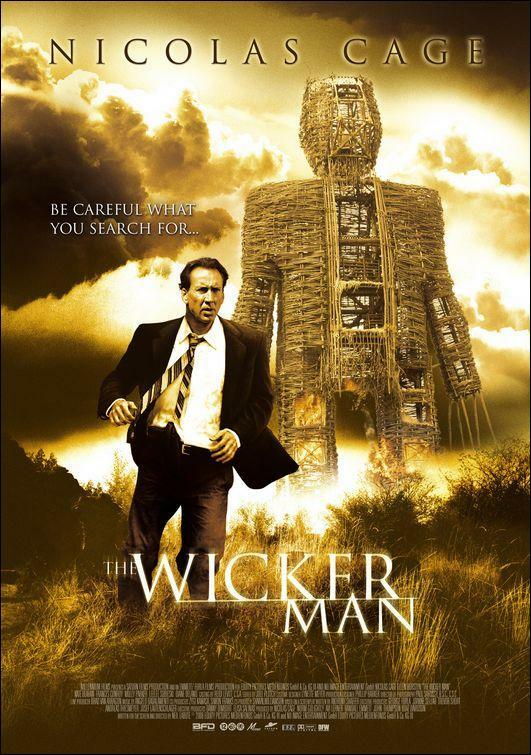 For such a well-received cult classic, it would not be until 2006 for a followup film, the remade The Wicker Man, starring Nicolas Cage. In 2006, Rowan was played by Erika-Shaye Gair (born on 12 December 1998, New Westminster, British Columbia, Canada). 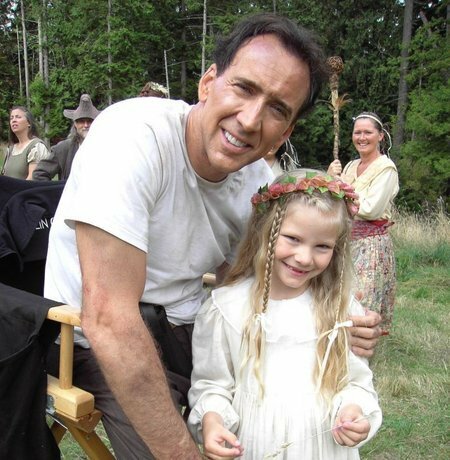 Nicolas Kim Coppola (born January 7, 1964), known professionally as Nicolas Cage, is related to several people in the movie industry. 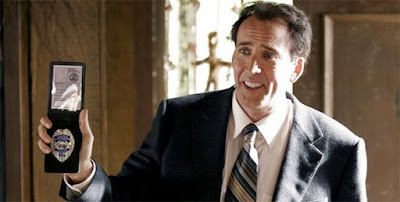 Through his father, he is a nephew of director Francis Ford Coppola and of actress Talia Shire, and the cousin of directors Roman Coppola and Sofia Coppola, film producer Gian-Carlo Coppola, and actors Robert Carmine and Jason Schwartzman. According to Cage, he owned the "Most Haunted House in America," a home located in the French Quarter of New Orleans, Louisiana. Known as "The LaLaurie House" after its former owner Delphine LaLaurie, the house was foreclosed and sold at auction on November 12, 2009, along with another New Orleans property for a total of $5.5 million, in the wake of Cage's financial problems. 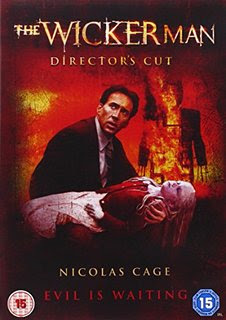 Compared to Edward Woodward, Nicolas Cage's part of the policeman investigating the disappearance of Rowan has been roundly criticized. 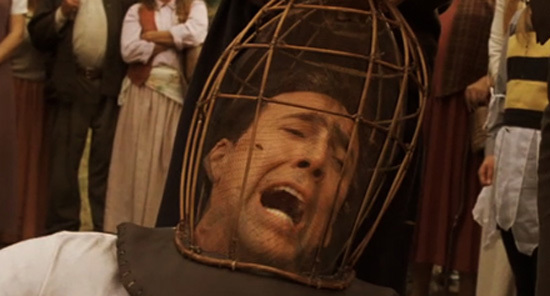 Many movie critiques have noted that Cage overplayed the part versus Woodward's highly praised portrayal. As noted in my original discussion of the 1973 film The Wicker Man, the movie's red-coated child, Rowan, is linked to several other films' red-clad girls. 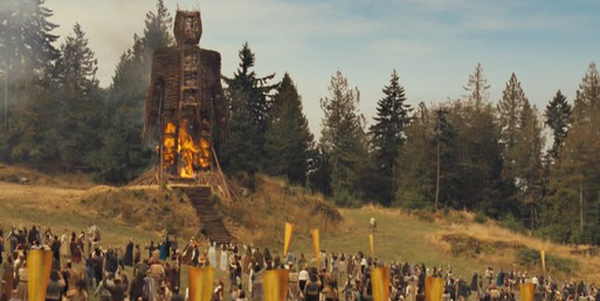 Again Rowan shows up in red, in the 2006 version of The Wicker Man. Cage's over-the-top policeman versus Woodward's terrified human sacrifice. 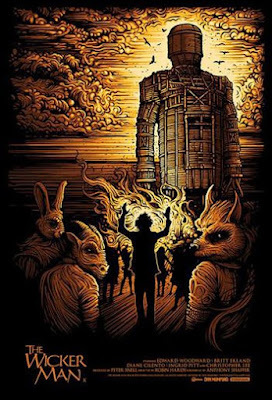 Finally, in 2011, Hardy's sequel to The Wicker Man was released, The Wicker Tree. 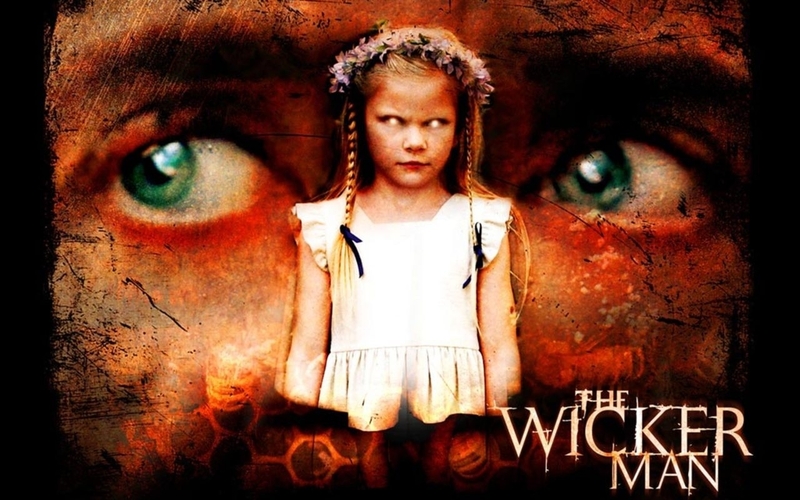 In some cases, it was showed as a double-feature with the 1973 original. 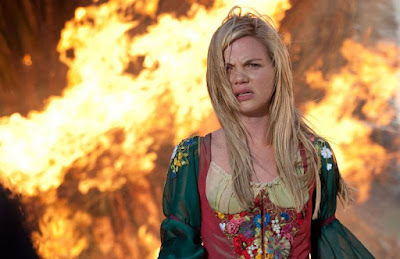 Brittania Nicol played the May Queen, Beth Boothby in The Wicker Tree. The legacy of The Wicker Man lives on, and continues to be a significant moment in Pagan horror films, worthy of wonder among synchromystics. 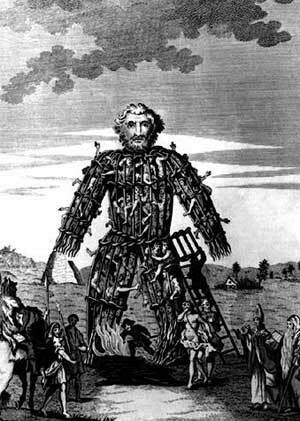 In this special year of deaths appearing to come frequently to important players, why should we not expect The Wicker Man to have it's moment in the sun? 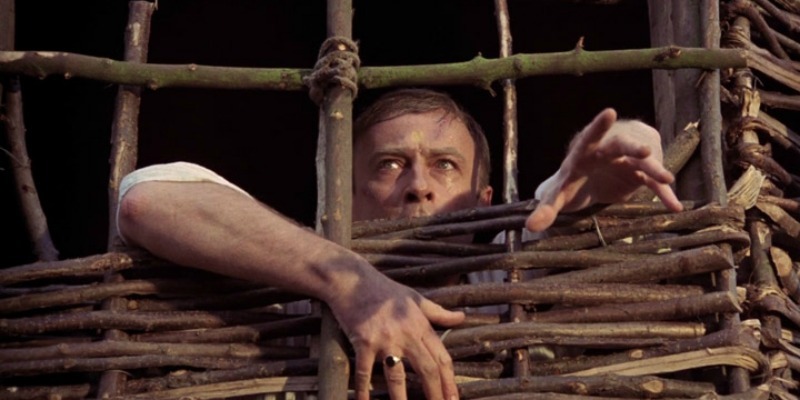 One of the most celebrated and remembered characters in the original Wicker Man film is Willow who attempts to seduce Police Sergeant Neil Howie (Edward Woodward). Willow was played by Britt Ekland (also spelled Britt Eklund, sometimes). Britt Ekland (born Britt-Marie Eklund; 6 October 1942) is 73 years old, as of July 7, 2016. She has been married to Peter Sellers (m. 1964; div. 1968) and Slim Jim Phantom (m. 1984; div. 1992), and her partners have been Lou Adler and Rod Stewart. 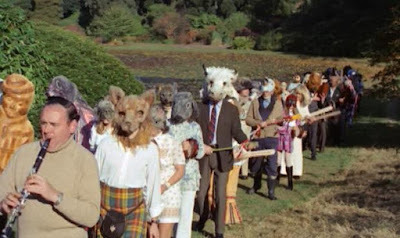 Summerisle in the Hebrides holds its secrets well. 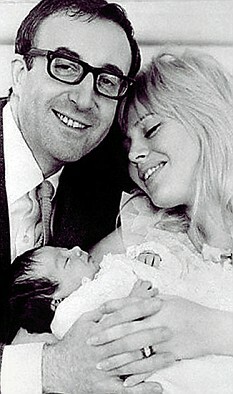 Peter Sellers' and Britt Eland's only child was a daughter, Victoria Sellers. Victoria Sellers may have been a Moon child, for she appears to have been conceived on Sunday, April 26, 1964, a full moon. Victoria was born on January 20, 1965. 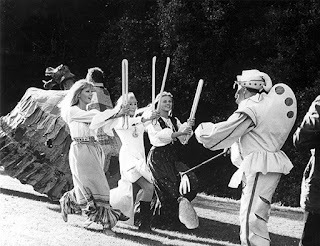 Should we be on the lookout for news of some kind from Ekland? Or her daughter? 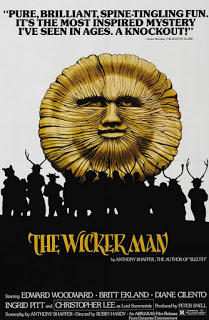 Or will something be in the wind from others linked to the Wicker Man movies (1973, 2006, 2011) during 2016? Britt Ekland re-posted Willow's Song on her Twitter account in tribute to The Wicker Man's director Robin Hardy. 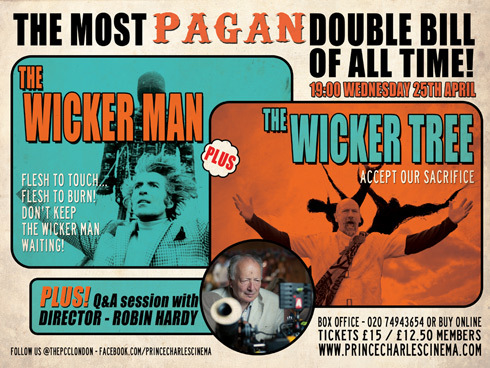 In many ways, Robin Hardy's role in The Wicker Man/The Wicker Tree movies is as Puck. Puck may also be called "Robin Goodfellow" or "Hobgoblin," in which "Hob" (the Devil) may substitute for "Rob" or may simply refer to the "goblin of the hearth" or hob. The name Robin is Middle English in origin, deriving from Old French Robin, the pet form for the name Robert. It's is a circular name game that ends up back with a very Pagan meaning. Hardy is an English, Scottish, and French nickname for a "brave or foolhardy man," from Old French, Middle English hardi "bold," "courageous" (of Germanic origin). Irish: in addition to being an importation of the English name, this is also found as an Anglicized form (by partial translation) of Gaelic Mac Giolla Deacair "son of the hard lad." Thanks to an initial idea from Eddie Lin. Loren, your synchronistic sense is spot on! 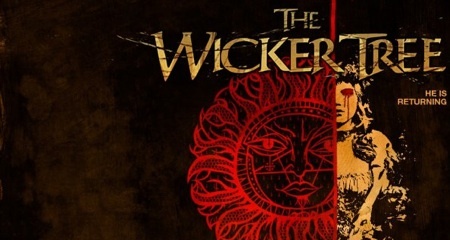 In Scotland, The Wickerman Festival canceled this year because of the death of co-founder, Jamie Gilroy. A fire-arms accident. A sad event, hoping the music fest will return next year.